As I worked my way through Kent Schultz’s vivid narrative of a September spent in the Hallertau, I was transported to the cozy biergartens and hop fields of southern Germany. I imagined the sun dropping a little lower into the sky every day as the heat of summer gave way to autumnal crispness. And when I learned that Georg conducted safety inspections at the G. Schneider & Sohn brewery in Kelheim, I found myself longing for a tall, vase-shaped glass of the Original. 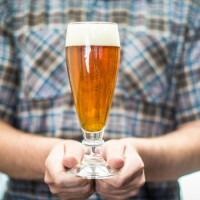 This recipe is inspired by Schneider Weisse Tap 7 “Mein Original.” I would never presume to call this a clone, but it is a tribute to one of my favorite examples of one of my favorite beer styles. The technical details here are largely based on Stan Hieronymus’s interviews with brewmaster Hans-Peter Drexler in Brewing with Wheat, with a few adjustments here and there. I hope you like it. I think the key to this beer is open fermentation. Yeasts, like humans, behave differently under pressure. An open fermenter lets the beer breathe and reduces carbon dioxide concentrations in the fermenting wort. It makes a difference in the flavor. If you maintain rigid sanitation throughout the process, an open fermenter needn’t worry you. I ferment in plastic buckets, so I loosely place the sanitized lid on top to keep airborne cat hair from falling in. When the beer hits final gravity, I close and seal the lid, add an airlock, and let it sit until I have time to bottle. There’s no need to secondary this beer, and it’s best when it’s fresh. Mash in at 113° F (45° C) for a 10-minute ferulic acid rest. Using direct heat or a hot-water infusion, raise the mash temperature to 122° F (50° C) for a 10-minute protein rest, and then again to 147° F (64° C) to begin saccharification. After 5 to 10 minutes, pull a thick decoction of approximately 1/3 of the mash. Keep the main mash at 147° F (64° C) while you separately step the decoction through rests of 152° F (67° C) for 10 minutes, 158° F (70° C) for 20 minutes, and finally to boiling. 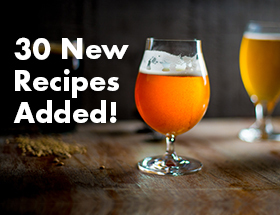 Boil the decoction for a few minutes—longer for more color development, shorter for less. Finally, return the decoction to the main mash and, if necessary, apply direct heat to hit mash-out at 168° F (76° C). 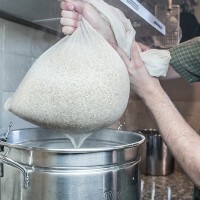 Collect enough wort to yield 5 gallons (18.9 L) after a 90-minute boil, and boil for 90 minutes, adding hops as indicated. Pitch yeast at 62° F (17° C) and allow to free-rise to 72° F (22° C) over the course of 5 days. Leave the fermenter open until a gravity reading indicates that fermentation is at or very near completion, then seal with an airlock. Bottle condition or force carbonate to 3.5 volumes (7 g/L) of CO2. 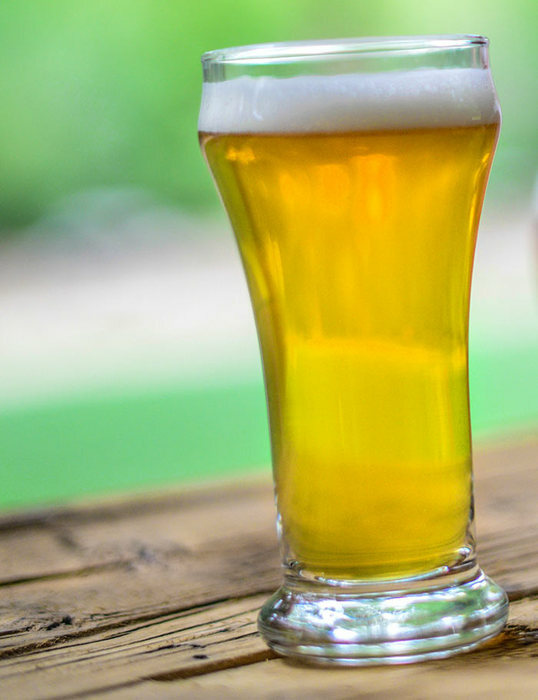 This is at or above the limit of what many standard single-use beer bottles can handle, so if bottle conditioning, be sure to use sturdy glass. Replace the Pilsner and wheat malts with 7 lb. (3.2 kg) wheat malt extract syrup. Steep the chocolate wheat malt in 155° F (68° C) water for about half an hour, then remove the grain, dissolve extract in the steeping liquid, top up to your boil volume with tap water or reverse osmosis water, and proceed with the boil. If you conduct a concentrated boil, increase the Herkules addition proportionally or add it earlier in the boil to compensate for decreased hop utilization in high-gravity wort.